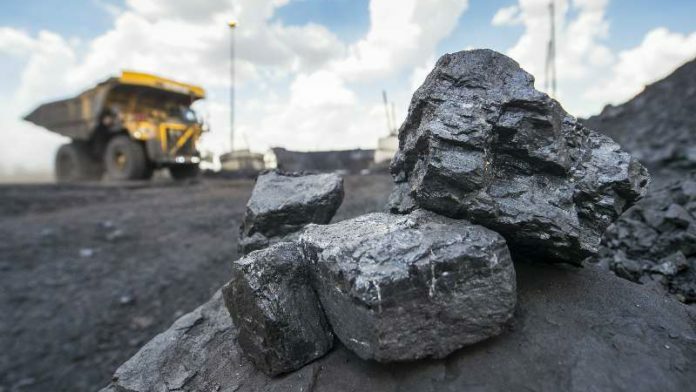 SOUTH32 forecast “… a strong recovery” in coal export volumes at its South African Energy Coal (SAEC) in the second half of the firm’s financial year as it returned a dragline to service at its Klipspruit colliery in Mpumalanga province. Saleable thermal coal production fell 9% to 12.2 million tonnes (Mt) in the six months ended December, but the group has maintained initial guidance for the year of 29Mt. On the domestic front, South32 commenced sales of lower quality stockpiled material whilst it had implemented a new shift pattern at Khutala. Of the production guidance, 17.5Mt would be sold domestically and 11.5Mt sold in exports. South32 also provided a brief update on plans to sell a stake in SAEC, saying that binding bids for the division were expected to be tabled by end-June. Competition for the company was higher than initially anticipated when the group first put the assets on the block. This was owing to an improvement in thermal coal prices. And with production guidance unchanged at South32’s other operations, except for Illawarra metallurgical coal which would come in higher than first guided, the company is likely to produce another strong cash performance. Graham Kerr, CEO of South32, said today in a second quarter and half year update that some $316m had been distributed in dividends at the half-year point whilst $167m had been bought back in terms of the firm’s capital management programme. Prices for the group’s commodities had been strong, he said. “To 31 December 2018, we had completed 79% of our $1bn capital management program, having paid a $154m special dividend on 5 April 2018 and purchased 272 million shares at a volume weighted average price of A$3.09 per share through our on-market share buy-back,” the group said in its update. Macquarie said in September that South32 was on course to generate $1bn a year in free cash flow between the 2020 and 2023 financial years. Shares in South32 were 3.6% higher on the Sydney Stock Exchange today. At A$3.45/share, the stock is just over 10% down on a 12-month basis. By comparison, Rio Tinto is 3% down in the last year whilst BHP is 4% higher. Commenting on its Hermosa zinc project, South32 said it was on track to declare a mineral resource by the year-end. The company bought the project, which is the US state of Arizona, in August last year paying $1.3bn – a transaction considered a departure for South32 which had been largely focusing on early-stage farm in projects. In the six months ended December, it invested $26.9m in exploration programmes.